Hi! I am Griffin! And this is my Buddy Pterodactyl! Btw! We are a creation of Glow in the Dark Concept Studio! 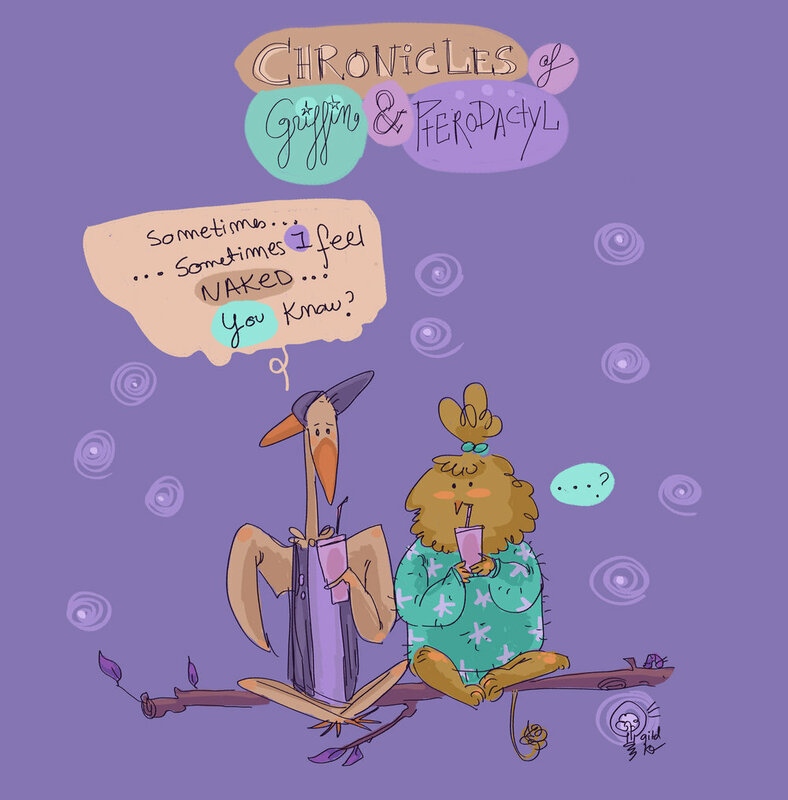 From the author that brought "Stuff that happens when you have an Artist Life" and the Screenwriter and Colorist of "I love Tokyo" comes our first in-house Slices of Life Comic production: "Chronicles of Griffin and Pterodactyl".